I like to think I am quite honest with you guys and I wanted to share what has been going on with me lately. I am currently finishing my third year of college and next year will be my last. I feel life is catching up with me. Adult life to be precise and it can be overwhelming. I used to a very positive person and never dwell on the negative but recently I noticed my outlook on life has not been as bubbly as it used to be. Which is very unlike me. I wanted to return to my old ways of positively and seeing the brightness in everything. 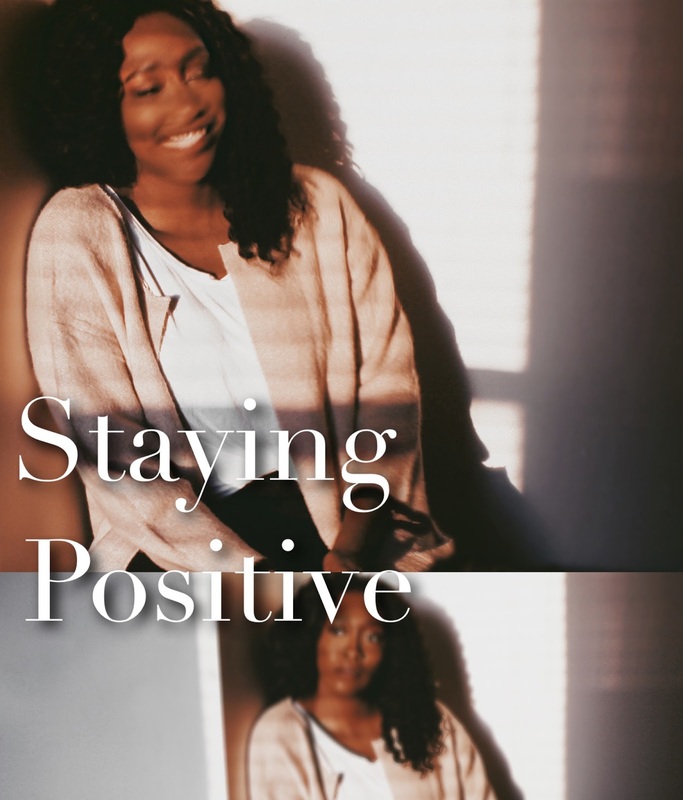 Here are some tips that helped me return to my positive ways! This may seem obvious but sometimes the main thing that brings us down are people. Not everyone is negative but there are some people that are constantly in a terrible mood or that purposely point out the negatives. This may be hard because this means distancing yourself from people you may be close to. Do not completely cut them out of your life but take a break to refill your positively before you turn into someone you do not recognize. Take a walk, exercise, sign up for that yoga class and practice your downward dog or pick up kick-boxing. Anything that gets your body moving. I realized that once my body is in motion my mind gets clearer. When I am lying down in bed, scrolling through my Instagram feed or watching YouTube videos this leaves room for me to dwell the negative but once I am moving around and doing something active my mind becomes lighter and more relaxed. I have mentioned in the past that I enjoy listening to music in the dark. You are probably thinking, "Wait... what the heck did she just say?" I know, I know that does sound extremely weird but it is the best way to unplug and relax. This is by far my favorite way to stay positive. Make a playlist of songs that bring out your best emotions and positive energy then turn off all your lights and listen. Just listen. Do to text and listen or browse Facebook and listen. Do nothing but relax and listen to the music.